Due to long waiting lists on the NHS and the prohibitive cost of private treatment, many people are now travelling abroad for their medical treatments. What was once a luxury afforded to only a privileged few has now become commonplace for thousands of patients from the UK. Having knee/hip replacements abroad means that you can beat long waiting lists and get professional treatment at a much lower cost that you would pay in Britain. The cost of going abroad for surgery is more than comparable to prices quoted for the same operations in the UK. A private hip replacement in the UK will usually cost in the region of £8000; by going abroad for treatment you will usually find yourself paying half of that amount. Many people use the financial savings to combine the surgery abroad with a recuperative holiday. The low cost of knee/hip replacements abroad means that you can take a two week recuperative holiday and still be financially ahead compared to receiving the same operation in the UK. If you are considering this type of orthopaedic surgery abroad you have a wide range of countries to choose from. Countries with state of the art clinics that are close to the UK include France, Hungary, Belgium, Poland, Malta, Switzerland and Norway. You can also travel farther abroad to countries such as South Africa and India. When deciding on your country abroad, remember to factor in the travel costs. There may be return visits needed after the surgery and it would be advisable to pick a country with frequent low cost flights. If you choose a country in Europe then you are also cutting down on flight time. This type of surgery is performed by orthopaedic surgeons and involves a full replacement of joint surfaces that are painful or have become diseased. 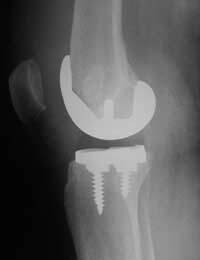 The joint surfaces will be replaced with plastic or metal materials and allow the knee to once again become fully operational and free from pain. This form of knee surgery requires more invasive measures and a longer recovery time. This operation may include detaching the quadriceps muscle, cutting and reshaping of bones, the removal of ligaments, and the replacement of knee parts with metal and plastic materials. This type of surgery requires little invasive surgery with two very small incisions; one incision for the arthroscope (used to examine the damaged areas) and one incision for the surgical instruments. Areas that can be treated include restoration of damaged ligaments, and the treatment of torn cartilages and joints. The benefit of arthroscopy is that healing time is a lot more rapid than traditional open knee surgery. With arthroscopy there is also a lot less scarring due to the size of the incisions and the instruments used. Hip replacement surgery uses synthetic materials to replace the hip joint. This is an invasive surgery performed by qualified orthopaedic surgeons. There are a number of different ways that the surgery can be performed and this will depend both on the patient and the preference of the surgeon. Knee/hip surgery abroad is now a common medical treatment for patients from the UK. Many of the orthopaedic surgeons can easily perform around 500 of these operations per year. If you do require one of these operations then it may be wise to take the proactive measure of going abroad instead of waiting in long NHS queues, or paying for expensive UK private treatment.